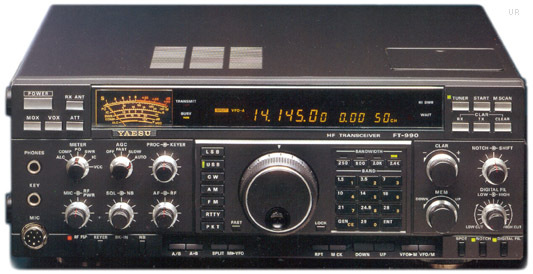 The Yaesu FT-990 features multiple direct digital synthesizers for pure local signals for high performance. The triple-conversion, general coverage receiver tunes from 100 kHz to 30 MHz. 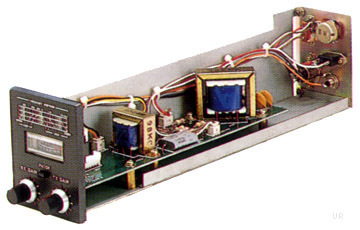 A 500 Hz CW filter is built in. It has keypad entry. Power output is adjustable up to 100 Watts output (25W AM). 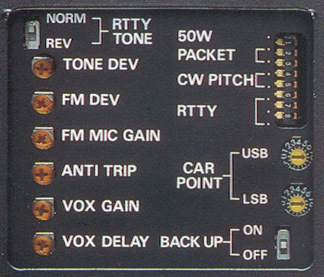 The top panel provides access for special user adjustments. Operation is from 120 VAC. 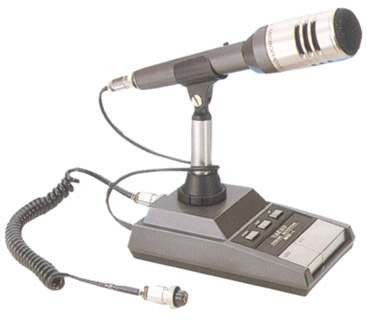 The Yaesu FT-990DC model was similar but did not include the 120 VAC power supply and did not include the CW filter. Copyright 2007-2016, Universal Radio, Inc.